Heart disease is the leading cause of death for both men and women, yet the misconception remains that it is predominantly a man’s disease. The U.S. Department of Veterans Affairs (VA) and the American Heart Association are partnering to Go Red for Women during American Heart Month this February to encourage women Veterans to take charge of their heart health and reduce their risks. Prevention of nearly 80 percent of cardiac events is possible. Understanding how to reduce heart disease risks can be the difference between life and death. 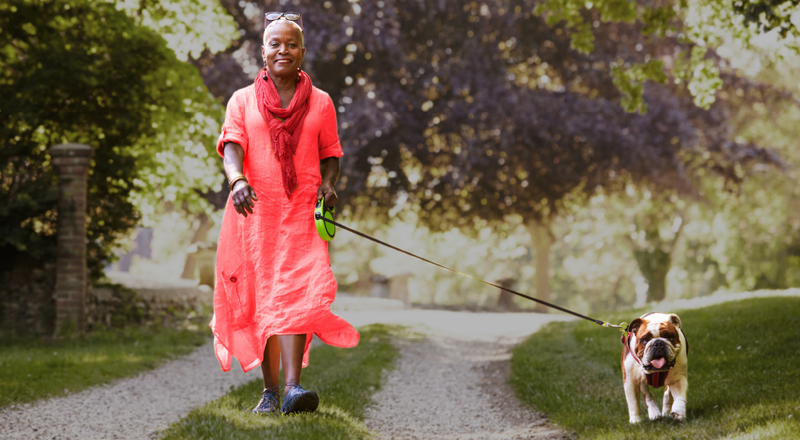 Watch Woman Take Heart – Battling Heart Disease & Stroke. VA is encouraging Veterans and their families to participate in Wear Red Day on February 1st. This annual event unites people nationwide around the common goal of eradicating heart disease. Here’s another look at just a few of the many VA medical centers going red! Be Active. Walking, even just 30 minutes a day, can lower blood pressure and reduce the risk of coronary events. Eat better. Eating a diet high in fruits, vegetables, whole grains, and fish and low in animal products, simple carbohydrates, and processed food can help manage weight, cholesterol, and blood sugar. Know your numbers. Monitoring and controlling blood pressure, cholesterol, and blood sugar can help reduce heart disease and heart attack risk. MyHealtheVet offers Track Health, an online tool that allows users to self-enter and share these critical numbers with physicians in or out of the VA system. Lose weight. For those who are overweight, losing weight and keeping it off can help lower blood pressure and reduce the risk of heart disease. VA’s weight management program MOVE! is available to Veterans in face to face, telephone, or a mobile application, the Move! Coach Mobile App. Stop smoking. Quitting smoking can reduce your risk of heart disease. Primary care providers can help determine the right combination of counseling and medication to help those who want to stop smoking. Quit VET, a toll-free national line for Veterans. Counselors are available between 9 a.m. and 9 p.m. EST, Monday through Friday at 1-855-QUIT-VET (1-855-784-8838). SmokefreeVET, a text messaging service that provides Veterans receiving health care through VA with daily encouragement while they stop smoking. Text “VET” to 47848 or visit smokefree.gov/VET to start receiving supportive messages. Stay Quit Coach, a mobile app designed to help Veterans quit tobacco can be downloaded free from the App Store and Android Apps. Join VA and Go Red for Women this February. Encourage women Veterans to commit to their heart health and the health of those they don’t want to lose. About the author: This article was submitted to VAntage Point by VA’s Women’s Health Services Office. Created in 1988, the Women Veterans Health Program was created to streamline services for women Veterans in order to provide more cost-effective medical and psychosocial care. VA’s Women’s Health Services office provides programmatic and strategic support to implement positive changes in the provision of care for all women Veterans. I finally quit smoking 3 years ago and the withdrawal process was quite difficult. Now I feel lighter, healthier and stronger than ever before. I can smell and taste better too. Tip: try chewing gums (sugar free) as an alternative when you have urge.